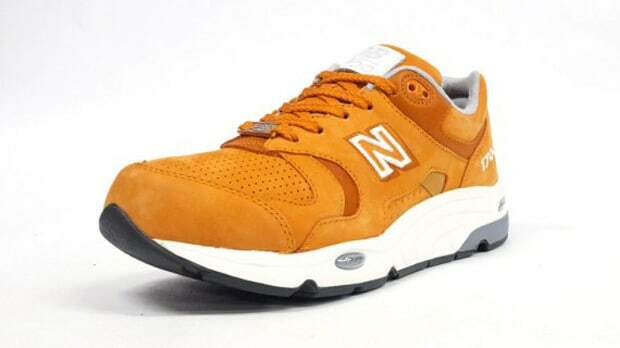 New Balance CM1700 "Burst Orange"
New Balance has crossed over into the lifestyle category — many sneakerheads rock the technically sound shoe for their new vibrant colorways as well as for the comfort. Today is no exception as we see the CM1700, the one-time echelon of New Balance&apos;s running performance, dipped in a smooth Burst Orange colorway. But don&apos;t let the bright color fool you; the CM1700 still packs a ABZORB, C-CAP and ENCAP cushioning system so if you do decide to go for a quick jog, you&apos;re covered. Thinking about making these a part of your collection? Mita Sneakers is taking pre-orders right now with a release date of Friday, August 12th.